At Massimo we roast our coffee beans daily at our Newmarket branch with a premium hot air roasting machine. Our blend is full-bodied American roast, we use only 100% Arabica beans and serve it with organic milk. The coffee bean comes from the cherries of a coffee tree, best grown in subtropical areas of the world. These include Brazil, Colombia, Jamaica and Indonesia. Coffee trees take four to five years to produce their first crop, which starts with a white blossom, similar to jasmine. Once it has blossomed, the tree produces green cherries, which turn yellow and darken to a deep red ready for harvesting. Coffee cherries may also be harvested at the less ripe green stage. The cherries are hand-picked, so it is a very labour intensive process.As it’s the beans needed to make coffee, the fruit is removed in one of two ways. The preferred method is by soaking the cherries, producing ‘washed coffees’. The length of soaking will depend on the producer. The fruit can also ‘sun-dried’ or dried in a dryer, before being separated from the bean in a husker. Once dried, sorted and graded, usually by hand, the green beans are ready for roasting into the more familiar dark brown beans, ready for use. It is in this ‘green’ form, the beans are normally shipped around the world.There are two main types of coffee bean – Arabica and Robusta. ‪Arabica‬ – around 80% of the world’s coffee production is arabica. It produces a superior coffee with better flavour and aromatic qualities. Robusta‬ – robusta trees are easier to grow, more disease resistant and produce higher yields. Robusta beans contain twice as much Caffeine and have a more bitter flavour. They tend to be used in lower-priced coffees, or as a small proportion of espresso blends as they produce coffee with richer crema. Roasting coffee beans is both an art and science, transforming a bland green-coloured bean into a rich roast. Roasting unlocks aromatic ‘oils’ by caramelising sugars and starches. These so-called oils are not technically oils because they are water-soluble, but give the coffee flavour and aroma. Coffee can be roasted in two ways – turning in a drum over a flame or tumbling through hot air. Either way, the beans are generally roasted around 180-200°C. 1st stage: Roasting begins by turning the green beans yellow. As the beans dry out, they turn yellow and begin to smell like toast. Known as the first crack, gas builds up inside the beans, causing them to swell and rupture. At this stage, they are light brown in colour and have a wrinkled surface. The beans are now losing weight – a 7kg bag of beans will weigh around 6kg when roasted. They are also expanding in size, deepening in colour and the skins are becoming smooth. It can be just matter of minutes before the second ‘crack’ is heard. This stage requires careful monitoring to ensure the beans aren’t ‘overcooked’. The beans may have an oily sheen as oils rise to the surface. Beyond this point, the beans may smoke as the sugars carbonise. The roaster must use his skill and judgement to stop roasting at just the right moment, and release the beans into a cooling vat to prevent any further cooking. Roasting takes about 25-30 minutes depending on the weather conditions. Roasting times increase with humidity, as the beans absorb more water in the damper conditions, taking slightly longer to dry out. The beans will continue to give off vapours, mainly carbon dioxide, for a day or two before reaching their optimal flavour. We roast every day at Caffé Massimo ensuring a continuous supply of beans in the perfect state of readiness for your daily needs, both in the café and at home. Coffee was first discovered in Eastern Africa, in what we know today as Ethiopia. Nobody quite knows how it was found, but one popular story suggests it was all down to some frisky goats! An Ethiopian goatherd, named Kaldi, noticed his goats were particularly lively after eating the berries from a certain bush. Whether true or not, we do know it wasn’t long before coffee berries found their way into Arabia, through a port called Mocha, a name now synonymous with coffee. At this time, it was still the whole berries being used as a food or made into a drink. It wasn’t until coffee arrived in Turkey the beans were first roasted, making a boiled coffee similar to the present day Turkish coffee. Espresso coffee was developed in the 19th century in France, although it was the Italians who perfected the technique, and were the first to manufacture espresso machines. As demand for coffee spread across Europe, suitable coffee-growing areas had to be found. The Dutch started cultivating coffee in Java, now Indonesia, India and several parts of South and Central America, whilst the British headed for the West Indies. Coffee from the Blue Mountains of Jamaica now being the world’s most famous and expensive. The first European coffeehouse opened in the 17th century, but the most famous, Caffé Florian, started up in 1720 and is still trading today. 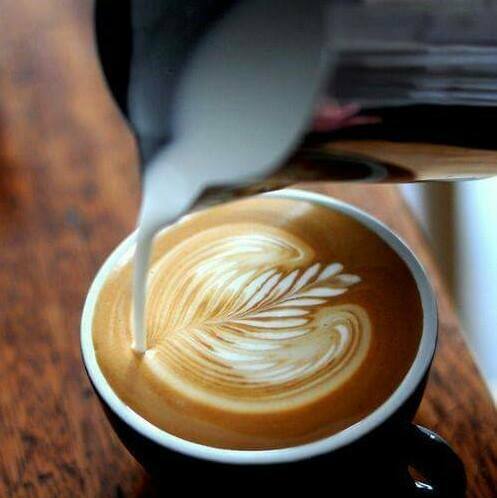 Coffee was taken to the USA from Europe, and has continued to make its way around the world ever since. At Massimo Coffee, we select only the finest arabica beans, carefully handpicked for perfect ripeness from the world’s legendary coffee estates and plantations, to bring you the finest, most delicious coffees possible. We roast our own coffee beans in small batches, using the drum roast method, to enhance the unique flavour. This involves the beans being roasted in a drum over a flame, and requires skill and patience from the coffee roaster, checking the colour and smell until it is just perfect. Using this method enables us to control the amount of smoke being used during the roasting process to achieve the flavour you enjoy from all Massimo coffee. This highly-skilled process allows us to tailor-make roasts to suit your individual needs. Talk to our coffee roasters if you have a particular type of blend you require. Whether you’re enjoying a coffee in Caffé Massimo or preparing your own at home, our traditional roast makes a difference you can see, smell, and taste.